The Omega Speedmaster is an absolute legend within the world of horology and ranks among the most widely loved and universally respected watches of all time. The Speedmaster is – without a doubt – the watch from Omega’s lineup that gets collectors most excited, and certain vintage examples have been known to break the six-figure price point when they sell at auction. Although there is a diverse Omega collection a few watches standout above the rest. Recently, Phillips sold a very special Omega Speedmaster that was listed as Lot 36 in The Geneva Watch Auction: Eight, which took place on November 10th and 11th of this year. The watch itself is a prototype reference ST 145.014 Speedmaster from the “Alaska I” project, which was delivered to NASA for official testing in 1970 – and has the official Omega Extract from the Archives to prove it. Although none of the prototype Speedmaster watches from the “Alaska I” project ever actually made it to the moon, they are some of the most visually distinct and historically significant Speedmaster references of all time. 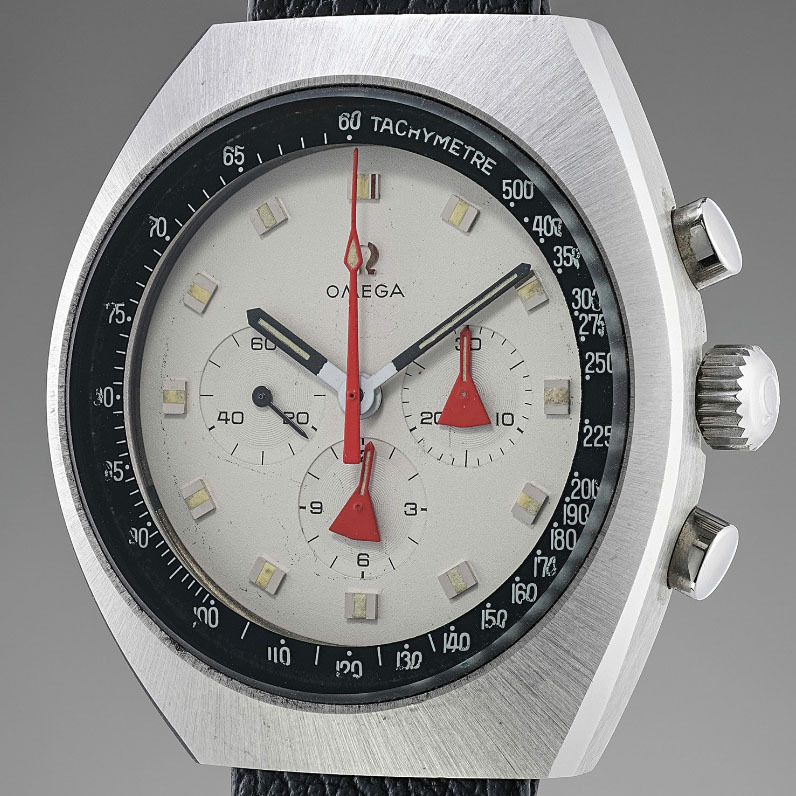 With a number of legibility and durability-enhancing modifications over the standard Omega Speedmaster Moonwatch, the various prototypes from the “Alaska” projects represent Omega’s extensive (and expensive) efforts to create the ultimate, “lunar surface chronograph” that astronauts could wear while they worked in the extreme conditions that exist outside the safety of their space crafts. The watch that sold was manufactured in 1969, and is from the third and final batch of prototypes that were produced for the “Alaska I” project, and subsequently delivered to NASA’s Apollo Program Office in Houston, Texas in 1970. Unlike other “Alaska I” prototypes that use massive and roughly-finished titanium cases, this particular watch has a stainless steel version of Omega’s “Mark II style” Speedmaster case, making it significantly more practical and traditionally proportioned for regular wear and use (assuming that the new owner plans to wear the watch at all). Given that this watch is one of only a few “Mark II” Speedmaster prototypes to have ever been created as part of the “Alaska I” project; and given that it also has documents verifying its NASA connections, it comes as no surprise that a number of collectors were willing to spend big money to add the watch to their respective collections. 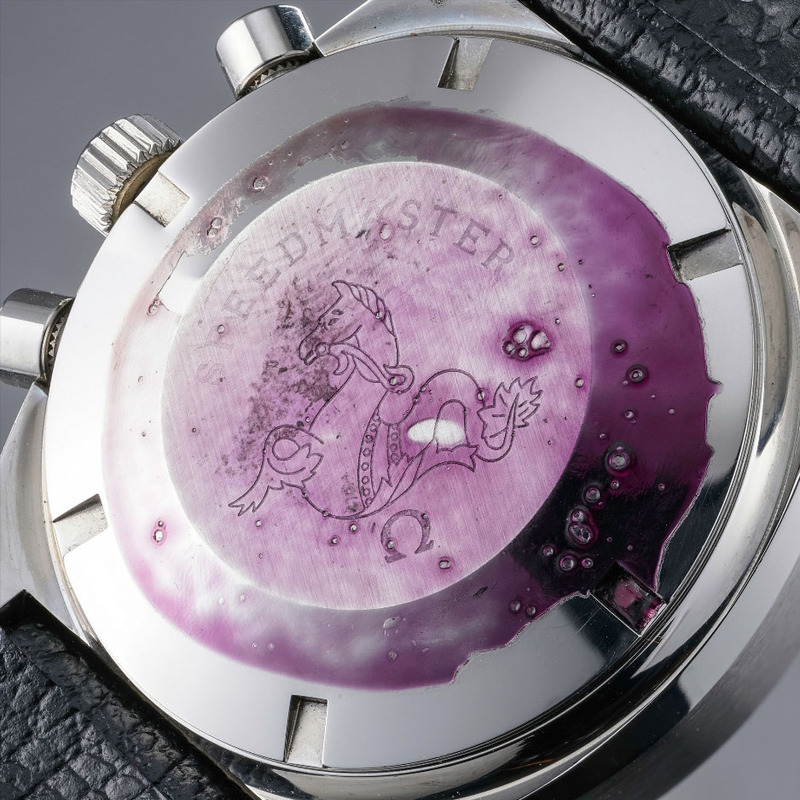 When the final hammer came down, this historic timepiece sold for a total of CHF 193,750 (or $194,303.75 in U.S. dollars), which far exceeded its initial pre-sale estimate of CHF 40,000 – 60,000. Admittedly, the pre-sale estimate for this particular watch was rather pessimistically low; however the final sale price exceeded more than three times its projected value. Several high-end, vintage collector websites mentioned this piece in the days leading up to the auction, which likely helped it achieve its highly respectable sale price. However, the fact that this Omega sold for nearly $200k shows that six-figure auction prices – something that was previously almost exclusively attained only by vintage Rolex and Patek Philippe timepieces – are becoming increasingly more common for watches from other manufacturers. See the Speedmaster that sold for 200k and other watches at the event.